The countdown to the start of the 2022 World Cup, which will be held, God willing, in the State of Qatar, is rapidly approaching the age of time. And since Qatar won the honor of hosting in 2010 for the first time in the history of the Middle East. 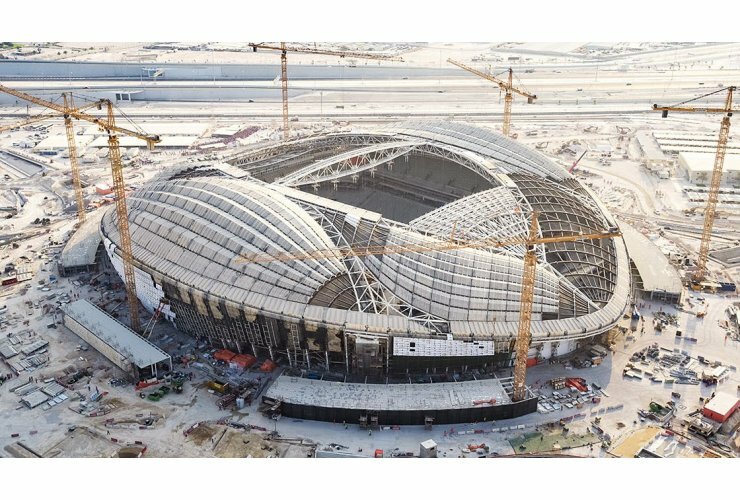 Qatar has chosen to continue the march towards hosting the World Cup without looking back. It has planned from the outset to continue to implement its promise of building and development in recognition of the great achievements it has made during the past eight years. A modern road network is about to be completed during the month T the next few, and the completion of a network of modern rail lines, near the end of the construction and completion of the World Cup stadiums modern. The projects of the World Cup Qatar are about to be completed as soon as they start, and the rest of them need all of us to join efforts and work together to complete them before we enter in 2022.